Nursing homes are the last resort for seniors, but heavy incontinence is usually the biggest factor for family members when deciding to allow their elderly loved one to stay home or move them into a convalescent home. Changing adult diapers, washing increasingly large loads of laundry, adjusting to embarrassing and awkward moments with one’s parent – all of these can be a bit overwhelming for the family care providers, especially if they have their own set of physical health issues. 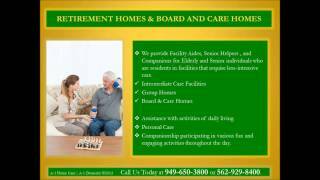 A-1 Home Care in La Canada Flintridge gives you the best of both worlds: tender, competent compassionate 24-hour elder care and relief for you, the family caregiver. No more laundry chores. Full 8-hour uninterrupted sleep. Less stress. More Freedom. 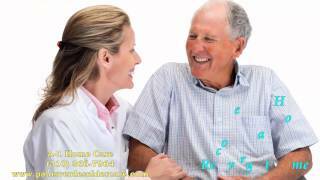 Round-the-clock caregiver services from A-1 Home Care in La Canada Flintridge offers you all this while caring for your aging loved one. With years of experience, seasoned caregivers can gauge your loved one’s incontinence needs, frequency of diaper change, and comfort levels. 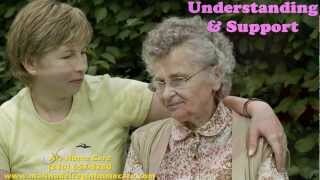 They know how to calm down an agitated senior when she resists using pads or adult diapers; the caregiver’s comforting tone of voice will successfully persuade your loved one to try the incontinence product. In-home care not only covers incontinence care but also includes assistance with cooking, house chores, transportation, bathing, hygiene and grooming. With A-1 Home Care’s team of caregivers and care managers, you are not alone. Ask us about our easy financing options. You can finance live-in care with reasonable payment plans and terms; A-1 Home Care accepts Veteran Benefits and long-term care insurance providers such as John Hancock, MetLife Insurance, Penn Treaty, and CALPERS. There will never be a day when you don’t get in-home support because our operators are on stand-by 24 hours a day to respond to your needs. We believe in connecting you to a live operator, not a machine. You’ll be pleased to see how quickly we deliver exceptional elder care. Established in 1991, A-1 Home Care has been the leading provider in elder care, serving seniors in La Canada Flintridge, Pasadena, Glendale, Burbank, Altadena, Sierra Madre, and other cities in the surrounding areas. To hire a caregiver today, call A-1 Home Care (310) 657-8780 or visit www.lacanadainhomecare.com for more details. 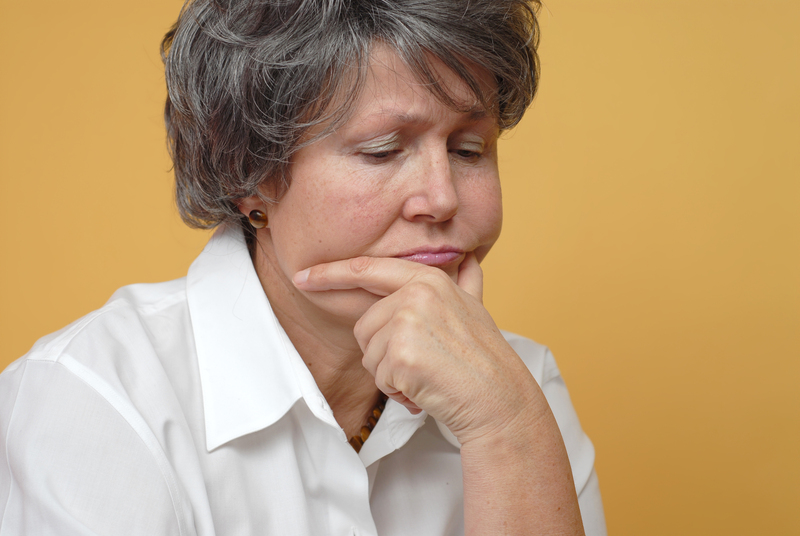 La Canada Home Care: Should You Still Care? Parent-child strife oftentimes doesn’t start when the child is already grown up. Deep bitter roots start long before the parent grows old, and when the adult child comes to an age when elder care is on the horizon, the adult son or daughter may ask oneself, “Should I still care for my aging mother or father even though I’ve been mistreated all these years?” Who dictates what is or isn’t right? Regardless of whether you ascribe to a certain religion or spiritual creed, scientific research supports that holding resentment in your heart does more damage to you than the one whom you begrudge. Forgiveness is a powerful thing, but it doesn’t mean you have to be around the aging family member. You can still carry on the good deed by hiring a caregiver and helping from a distance instead of subjecting yourself to a toxic environment in which you become the caregiver yourself. 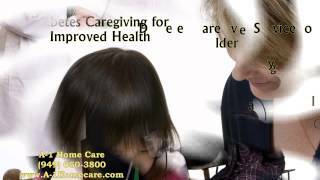 A-1 Home Care in La Canada brings families together and provides amazing elder care that not only brings relief but healing as well. Have you ever noticed that your parent may be nicer when strangers around but when you’re alone with them, it’s a different scenario? Having a professional Alzheimer’s caregiver who is used to witnessing family strife and calming seniors with strategic techniques may improve your relationship with your parent. Sometimes it takes an outsider to bring out the best in everybody. A-1 Home Care’s certified nurse aides are not only skilled with senior care but they possess excellent people skills as well. Over the years, our caregivers in La Canada and surrounding cities have been such delightful companion care aides and adept workers that they have won the loyalty of their elderly care recipients and the respect of the whole family, thus naturally prompting our returning clients to recommend A-1 Home Care to other friends and relatives. A-1 Home Care in La Canada was established in 1991 as a licensed, bonded and insured agency, and for 24 years we’ve been protecting and serving seniors thanks to our pool of culturally diverse, highly skilled caregivers, certified home health aides, certified nurse aides, and hospice care aides. 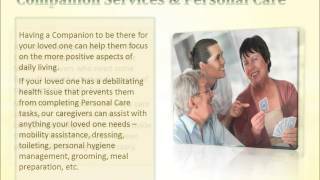 The standard in-home care package includes light housekeeping, meal preparation, transportation, bathing, grooming, hygiene, companionship, and medication monitoring. Each caregiver is thoroughly prescreened using a national criminal background check system. All professional references are verified, and customer service is 100% guaranteed. We are open 365 days a year, including major holidays like Christmas, Thanksgiving and New Year’s Day. 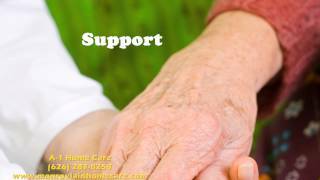 Lend a helping hand and let A-1 Home Care be here for you. For a free consultation, call A-1 Home Care today (310) 657-8780 or visit www.lacanadainhomecare.com for more information. 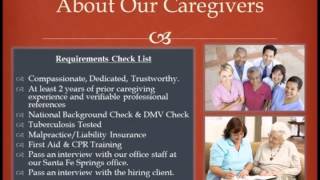 Caregiver services are also available in Altadena, Pasadena, Burbank, Hollywood, Beverly Hills, and Sierra Madre. An estimated 1.5 million Americans are under some sort of conservatorship, of which the most common type is a general conservatorship for the elderly who can no longer care for themselves, pay their own bills or perform daily activities that we so often take for granted. As a general conservator, you are responsible for arranging for your aging parent’s housing, bills, food, and medical care; all of this is potentially overwhelming if you became a family caregiver overnight due to an unforeseen accident. A-1 Home Care in La Canada provides assistance with oversight over your elderly loved ones’ daily lives. With full-time careers and their own children to take care of, conservators don’t have a lot of time on reserve to care for their elderly parents who may have suddenly lost the ability to take care of themselves. Faced with a daunting unpredictable future, family caregivers experience stress under the fear of the unknown. A-1 Home Care in La Canada is here to help the seasoned and newly-appointed conservators who are seeking guidance for elder care. Round-the-clock respite care is available for family caregivers who need a good night’s sleep and an extra pair of hands and feet to take their parents to doctor’s appointments or social visits. Hourly respite care entails cooking, cleaning, bathing, hygiene, medication reminders, companion care, assistance with paying bills and more. For 24 years, A-1 Home Care has been taking care of families and their elderly loved ones in La Canada, Altadena, Pasadena, Burbank, Glendale, and neighboring cities. Established as a licensed, bonded and insured non-medical home care agency in 1991, A-1 Home Care has ensured security and supreme service for seniors, winning the hearts of returning clients who request care for their relatives and friends. We are confident that the customized care we provide is made possible by the seasoned care managers we have on staff. Every caregiver who passes through our doors is thoroughly screened and carefully picked for perfect compatibility. If you are looking for professional, highly skilled caregivers, certified home health aides, companion care, and specialized care, look no further than A-1 Home Care! To speak with a care manager today, call (818) 980-0094 or visit our website www.lacanadainhomecare.com for more information. Stay up-to-date with A-1 Home Care’s events on Facebook and Twitter! You don’t go see a dentist for your headaches, so why have an “one size fit all” type of care like many nursing homes have for seniors. Many seniors are avoiding the nursing facilities because they wish to remain comfortable at home while being independent. The in home care option is growing in popularity, and there are different types of caregivers to choose form in order to best fit the individual needs of the senior. If the senior is relatively healthy, but might be dangerous for them to do some of the household chores, running errands, and other daily tasks, then a senior companion/home assistant is perfect for their needs. However, if a senior is experience more serious ailments, including difficulty walking, bathing, or other routine and daily living activities, then a personal care assistant or caregiver can provide the assistance in these areas. Home health aides or certified nurse aides (CNA) are unskilled health aides who does not have the skills of a nurse, but they are trained to take vital signs, non-sterile would care, range of motion exercise, and can administer pre-dosed and pre-measured medication for the senior. Whether it is a senior companion or certified nurse aides, in home caregivers allow loved ones and legal guardians can customize a long term care plan. 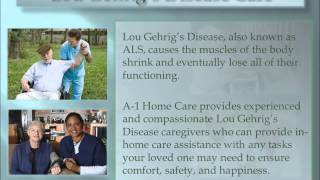 A-1 Home Care in La Canada understands what it takes to provide quality in home care service with our dedicated caregivers, senior companions, certified nurse aides, and other professionals. We put of effort in customizing each service, providing the most personalized and attentive service that covers Alzheimer’s Care,Parkinson Care, Arthritis Care, Kidney Disease Care, Diabetic Care, Post Surgery Care, Brain Injury Care, Incontinence Care, and other in home care services. Each caregivers we provide are required to have at least 2 years of experience, CPR certification, TB clearance, and National Criminal background checked. You can find our service around the Pasadena area in Arcadia, Temple City, Altadena, Glendora, Monrovia, San Marino, Sierra Madre, and surrounding communities in San Gabriel Valley. To find your caregiver, be sure to call 818-980-0094 to speak with one of our representatives. Please visit www.lacanadainhomecare.com for more information and find us on our Facebook page! We cater to clients from all backgrounds and, in turn, also recruit caregivers from all sorts of backgrounds, such as Asian backgrounds, as well as Jewish and Middle Eastern. Humans are social creatures, and we need the social support whether we look for it or not. To minimize and cope with stress, social support plays a big role in maintaining a healthy stress level. From friends to families to other peers, your social support network provides a comfort because you know they will be there when you need them. Whether it is a coffee break with a friend, a chat with the neighbor, a phone conversation with your sister, or just spending a day out bonding with each other, these are all ways to build the social support network, and find people you can lean on during the time of stress. With the support network set, then you can begin to see the benefits such as a sense of belonging, an increased feeling of security, thus helping you in your confidence, morale, and providing you a stronger ability to fight stress. Support from an In Home Caregiver can also provide seniors and elderly with the social support network they can benefit from. A-1 Home Care in La Canada has been in business for over 20 years, and we have been placing caregivers with personalized services such as Alzheimer’s Care, Parkinson Care, Kidney Disease Care, Special Needs Care, Post Surgery Care, Multiple Sclerosis Care, Arthritis Care, Incontinence Care, and other elderly care services. Our caregivers are certified with CPR and First Aid, and are required to have at least 2 years of professional caregiving experience. 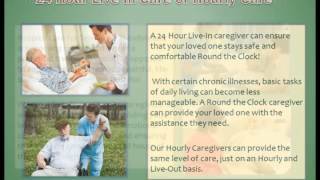 Whether you are looking for 24 hours live-in care or hourly live-out services, we are here to help you whenever you need. We are proud to cover the areas of La Canada, Altadena, Rosemead, Arcadia, San Marino, Sierra Madre, Pasadena, Burbank, Glendale, Sherman Oaks, and many other cities in Los Angeles and Orange County. To begin service, please call us at 818 980 0094 today, or visit La Canada In Home Care for more information. Be sure to like us on Facebook! Slowing down heart rate, lowering blood pressure, reducing chronic pain, and increasing blood flow to major muscles all sounds like healthy goals for many older adults. If I told you there is a way to achieve these simply by reducing stress levels, would you believe it? Studies have found that reducing stress has many great health benefits on us, and simply by relaxing, you can also enjoy these benefits! Using different relaxation techniques, anyone have the abilities to get through any level of stress. According to WebMD, there are three main types of relaxation techniques – autogenic relaxation, progressive muscle relaxation, and visualization. First, autogenic means it is from within the person by using both”visual imagery and body awareness” to lower stress. By repeating words in your mind, the individual is able to release tension. Progressive muscle relaxation is a bit different than autogenic techniques. An individual would slowly tense a muscle group, then relax it. As a result, the body can notice the different between tension and relaxation. Usually, muscles are kept tense for 5 seconds, then half a minute of relaxation. Surely, this needs a little bit of practicing, but once learned, it can do wonders for your stress levels. Lastly, there is visualization. Although the name of the technique suggests that it is visual, but it also tries to focus on as many of the senses as possible. The goal is to create an mental image that one can visualize a journey thorough a peaceful environment. Imagining the sounds, the smells, the sight, and the touch. The nature always tend to have a calming effect on people, and visualization can take you there with the power of your mind. Give these relaxation techniques a try, you or your loved ones might just find a way to reel in the health benefits of a relaxed mind! To further reduce stress around the home, having excellent support from a caregiver can greatly reduce the stress and worries around your household. Caregivers from A-1 Home Care in La Canada are carefully selected and interviewed to make sure seniors well accommodated for. From meal preparation to laundry to housecleaning, we can create a stress free environment for them to relax in no matter their health conditions. 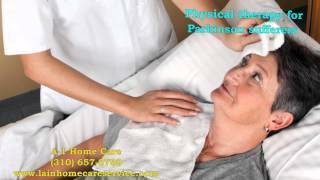 We specialize in the areas of Brain Injury Care, Parkinson Care, Arthritis Care, Kidney Disease Care, Special Needs Care, Post Surgery Care, Multiple Sclerosis Care, Bipolar Care, Incontinence Care, and other elderly care services. In addition, we licensed, bonded, and insured to cover the cities of La Canada, Altadena, Sierra Madre,Pasadena, Rosemead, Arcadia, San Marino, Burbank, Glendale, Sherman Oaks, and many other cities in Los Angeles and Orange County. Our phone number is 818-980-0094 and 562 929 8400 for any questions or concerns. Please visitwww.lacanadainhomecare.com for more information and follow us on our Facebook page!